It is made from satin cloth with long chain for hanging. It has one small compartment inside. Size of the product: (W) 28.5 cm x (L) 14 cm. This exquisite designer clutch is made from pure satin material. There is also a zipper for securing the items that are carried inside the clutch. 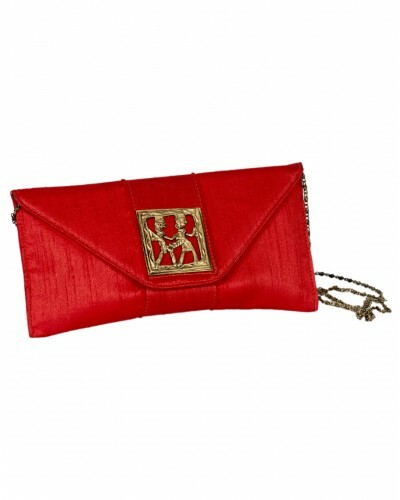 Decorated with a chain as the holder, this clutch can be carried for western wear. This is also a perfect gifting option for weddings, engagements or birthday parties.